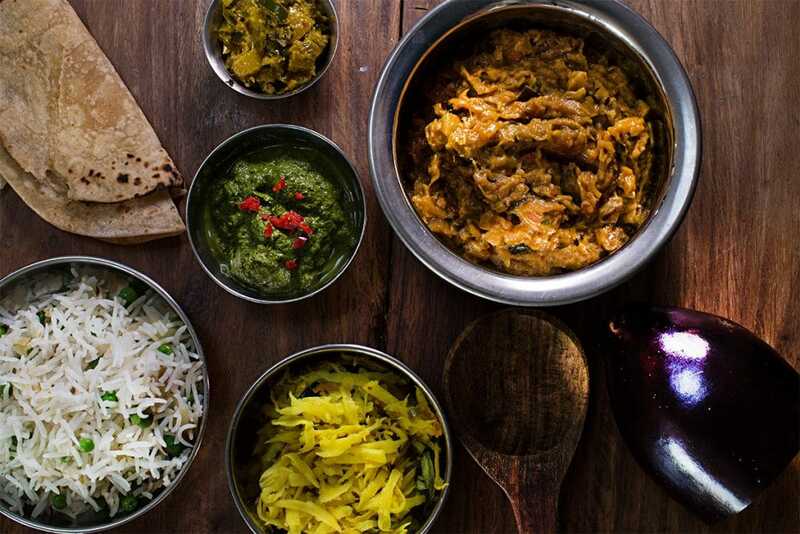 Well, Minesh’s story is simple, he was lucky enough to be raised on great Indian food, cooked at home by his mother, and received quite a culture shock when he first discovered what most restaurants were serving up, and by extension therefore what most people thought Indian food was. 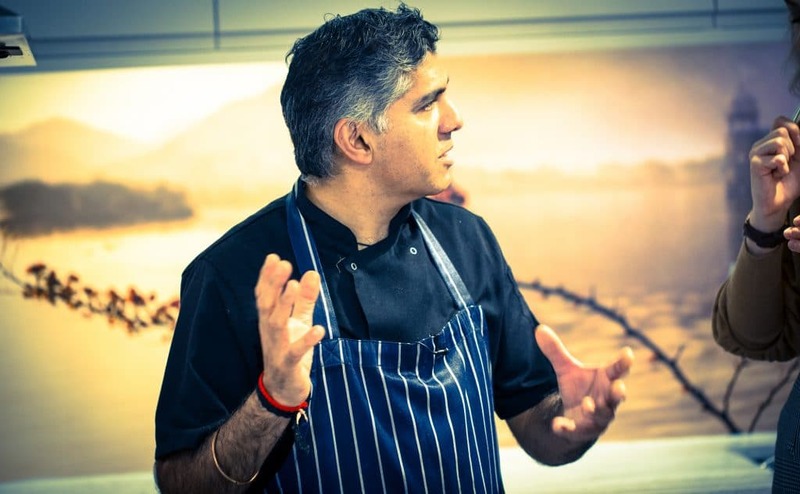 Fast forward a few years and Minesh has worked in and opened successful, authentic, Indian restaurants. Revolutionising our mindset from the dark tandoori with its gelatinous chicken korma to stylish, tasteful and, more importantly, tasty cuisine. 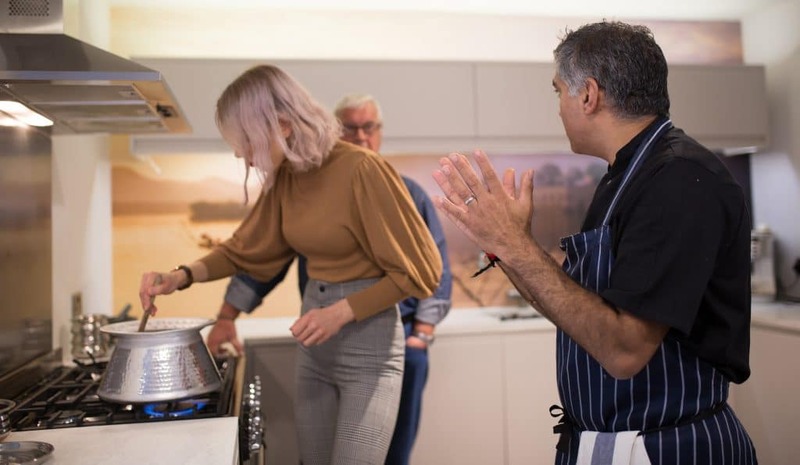 With five years teaching private parties the art of authentic Indian cooking Minesh has decided to take his message to a wider audience by tapping into the recipe box market. 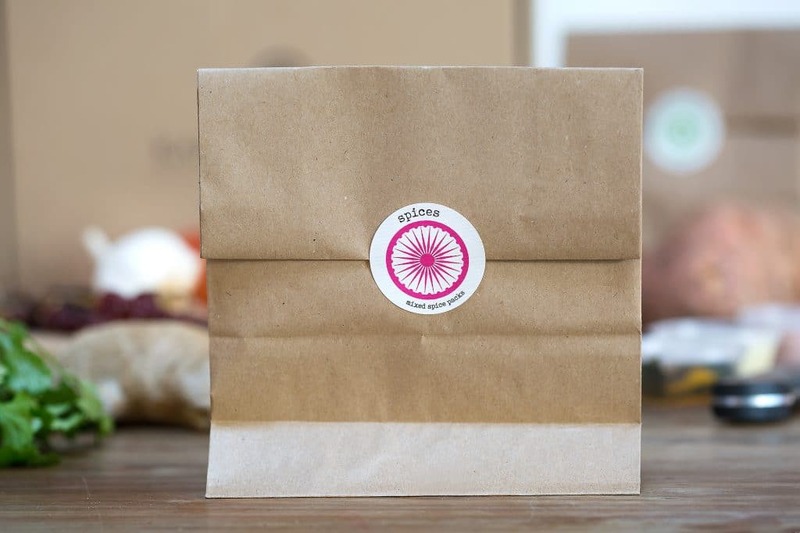 Each have their niche, lose weight, eat healthy, easy midweek dining. 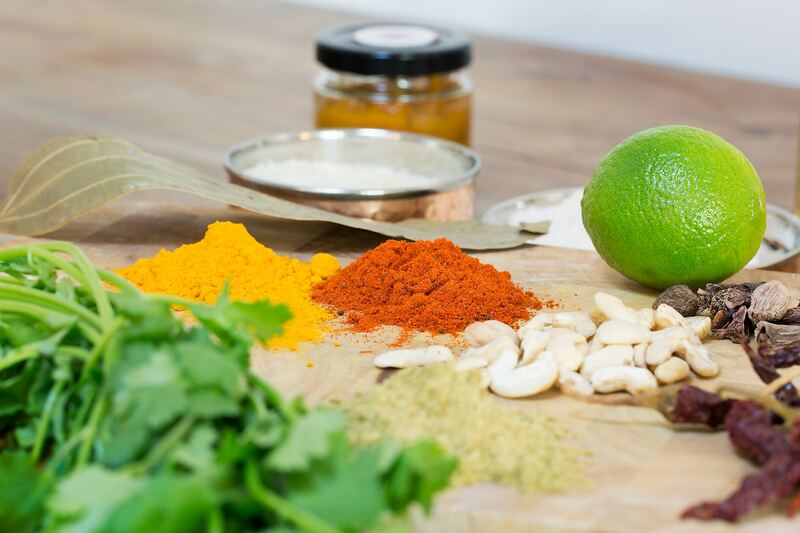 Minesh’s is real Indian recipes using restaurant quality ingredients and top quality spices – the spices are really, really important. It’s a phrase synonymous with the 1995 horror film Se7en, but the delivery I received from the Kari Club promised a much more appetising content. 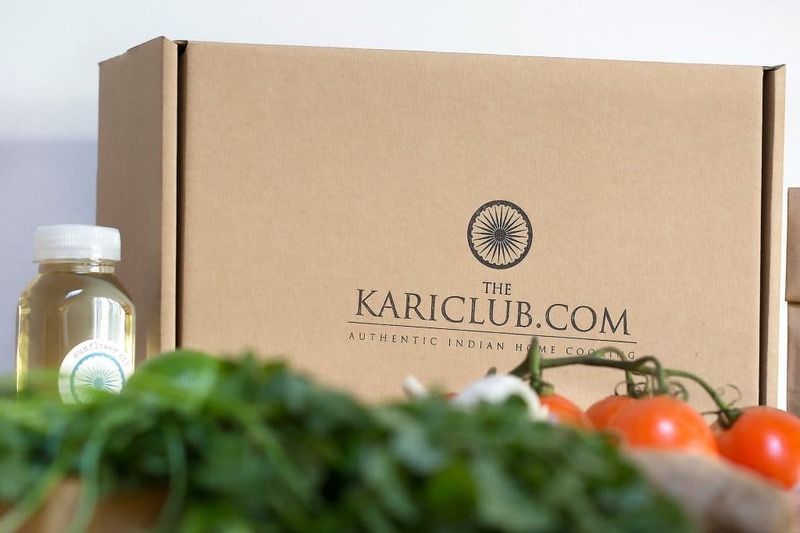 My Kari Club recipe box came with everything I needed, bar a kitchen with the average expectation of equipment, to make a smoked aubergine crush, Baingan Bharta, with a parsnip thoran, onion and pea pulao rice and chapatis. Every month there’s a different box and they’re available for 1, 2 or 4 people (we’ll come back to this). 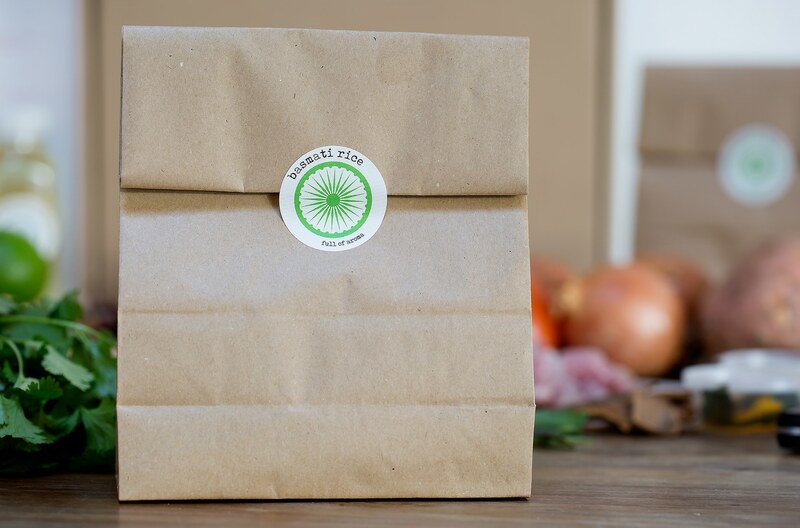 The recipes rotate each month, so there’ll be a meat dish, a veggie dish then a fish dish, you can also keep ordering the previous boxes so long as the content is in season. As a vegan I had my Baingan Barta adjusted so as not to include cream. As well as having everything measured out for you, the step by step instructions are complimented by a video tutorial available on the Kari Club website. Well armed with all of these I set about gleefully stabbing my aubergine and dousing it in smoked oil before popping it in the oven to cook down. 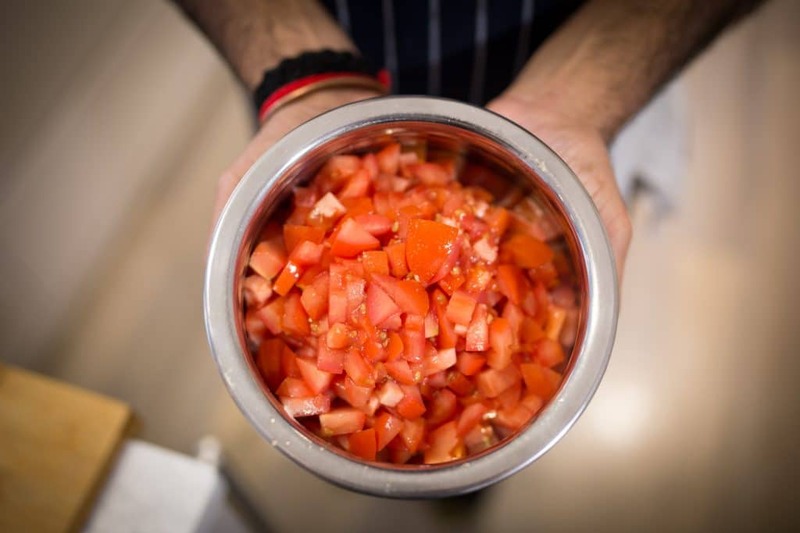 The key to a good Indian dish is in the sauce, making sure the onions are cooked properly before adding fresh tomatoes and a wonderful bouquet of spices. Once this had all thickened together I was to peel and add the aubergine, I thought this would be all kinds of messy but the top tip of submerging it in water meant all the sticky strips of skin didn’t end up covering the kitchen. The main dish done and left to sit I had the thoran, rice and chapati to still make. I should add here that this is not a quick midweek meal, a couple of hours and a good limber up are required, but nothing ventured, nothing gained. The thoran was a simple to make stir-fry like side dish with, surprise of all surprises, the not so exotic parsnip, jazzed up with spices, chilli and lime. 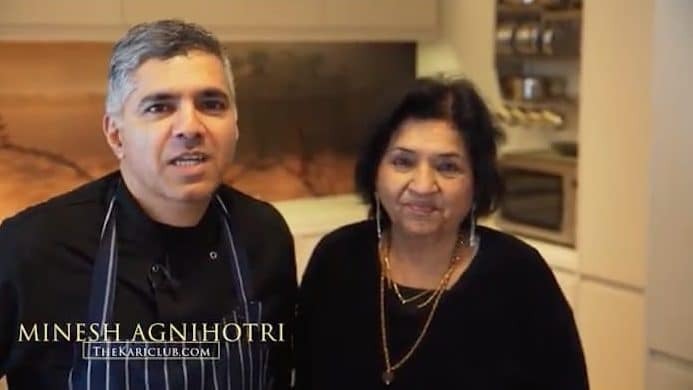 The chapati is an Indian staple flat bread, I particularly like the video to this as Minesh gets his mum in to help, and by help I mean she takes over and tells him when he’s doing it wrong while Minesh back chats to camera. Where Minesh gets passionate is on the subject of rice; it should be a dish in its own right, he says, not an afterthought. It needs lots of washing and delicate treatment, but the pea pulao is relatively straightforward to prepare. In the video Minesh explains what to look for in good rice, compelled by curiosity I had to do a comparison to the supermarket basmati that was in my cupboard and could see the difference he was talking about. An Italian friend once gave a similar tip about pasta and I am not ashamed to say that I am disproportionately pleased with my insider knowledge on both accounts. I’m an ambitious cook at the best of times and can easily turn out a roast dinner for four in a couple of hours without breaking a sweat. Even still, faced with this selection of dishes the sense of the unfamiliar would of probably had me backing away, so I’m really glad I did it. The Baingan Bharta was a deliciously flavoured dish, warm spices and a rich deep flavour. For me the high point was the thoran, it was a great surprise, still a little crunchy with a zing that complimented the sweet, rooty taste of the parsnip. My low was the chapati, mine were cardboard. Undeterred however I have practiced and kept a close eye on everything Minesh’s mum did in the video. Whilst I’m certain mine don’t hold a candle to hers they have improved, and she does have 70 years experience over me. Also included with the box was a jar of pickle made by Kalpana of Taste Chakra and this deserves a special nod for being truly scrumptious, the pickles are homemade and matched to each recipe box. It continued to garnish my chapati attempts days after and it made eating the evidence of my failure much more palatable. Lastly, that point I wanted to come back to, “serves 2”, is a lie. We ate like gannets and there was still a good portion of everything left for me for lunch on Monday, and as seems consistently true with Indian food, it tasted even better the next day.